Imagine the publisher’s incredulity upon receiving an invitation to provide American coverage of the Salzburg Mozarteum’s Festival Mozart Habana 2015. We could not say no to the honor. Thus, BMInt’s Laura Stanfield Prichard agreed to become the Intelligencer’s first official foreign correspondent. Regular reviews and reports from the festival will appear on these pages October 17-25. The festival brochure is here. The Universität Mozarteum in Salzburg has been planning the international collaborative celebration since 2012. Next week, a distinguished roster will gather for chamber and vocal music in the Oratorio San Felipe Neri, the Basílica San Francisco de Asís, the Iglesia Paula, and the Cathedral de la Habana (a UNESCO World Heritage site since 1982). 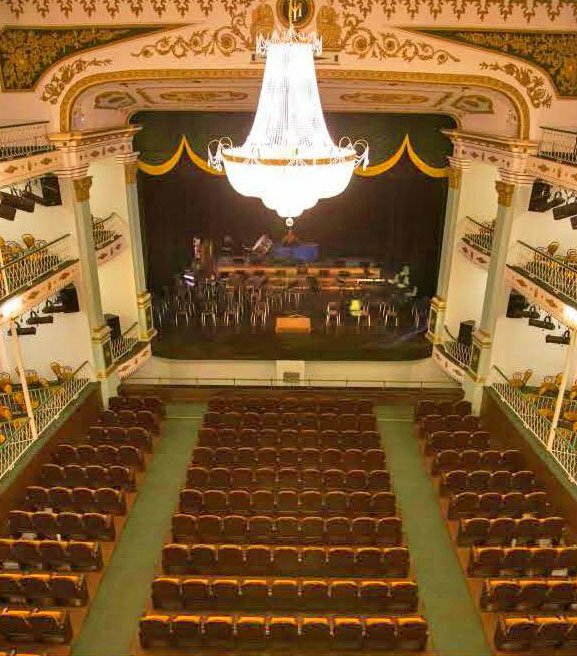 Orchestral concerts and dance performances will take place in the Teatro Martí, the Lyceum Mozartiano, the Instituto Superior del Arte, and the Teatro Nacional. The festival is co-sponsored by the Mozarteum and the Lyceum Mozartiano de La Habana, with the support of the European Union. This has already been a busy year for American musicians visiting Cuba: on October 9th, Marin Alsop led the Cuban National Symphony Orchestra in an outdoor concert in front of the Cathedral de La Habana to celebrate the 500th anniversary of the founding of the Cuban capital. Chinese pianist Lang Lang made his Cuban debut, Cucho Valdez appeared as a piano soloist, and the program included music by Gershwin, Tchaikovsky, Elgar, James P. Johnson, and Ernesto Lecuona. Pop stars Mick Jagger and Katy Perry have dropped in unexpectedly this fall to attend shows at the Cuban Art Factory (Perry went to hear Isaac Delgado perform). In May, the Minnesota Orchestra, led by Osmo Vänskä, performed twice in Havana, and those concerts can be heard here. And just last week the NY Times did a feature [here] on a pre-festival event featuring Lang Lang, Marin Alsop, and the first new Steinway concert grand to arrive on the island of Cuba since the revolution. 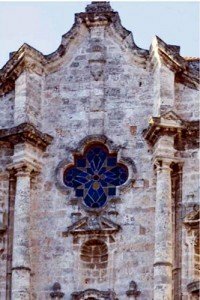 Americans performing as part of cultural tours or with journalistic credentials have been able to visit Cuba for many years of course, but the recent loosening of travel restrictions means that Americans interested in Cuban music and culture will find it much easier to make the trip in the future. Although a few charter companies are already offering direct flights from the US (esp. from Florida), more commercial collaborations are in the works, including stops by American cruise ships, regular flights on mainstream airlines from the US, and even ferries from Florida. Travel companies are now allowed to issue visas for those who plan a full-time cultural program during their stay in Cuba, although “tourism” as such is still not allowed. 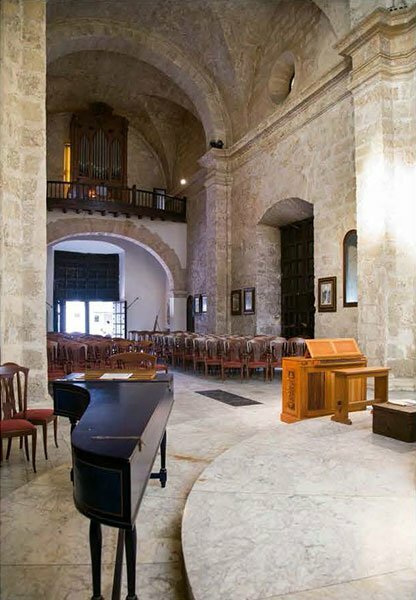 The Lyceum Mozartiano de La Habana was founded in 2009 jointly by the office of the Historiador de La Habana Eusebio Leal, the Instituto Superior de Arte (ISA) – the most important institution in Cuba for musical training – and the Universität Mozarteum Salzburg. The Cuban Youth Orchestra trains and performs at the Lyceum Mozartiano, which is also the place where further training occurs in all aspects of classical European music and contemporary Cuban music. This vibrant young ensemble, conducted by Walter Reiter, will present the final concert of the Festival, featuring Mozart’s Clarinet Concerto and his Symphony in C, “Jupiter,” K. 551. Conducted by its principal conductor José Antonio Méndez Padrón, the Youth Orchestra will collaborate with five Cuban choirs to present Mozart’s Mass in C Minor, K. 427. This ensemble recently made its European debut in two special “Mozart’s Birthday” concerts in Salzburg, Austria (January 27, 2015). Dr. Ulrich Leisinger will present several introductory talks for the press and the Salzburg Mozarteum plans to show several films of concerts filmed in Austria, including their recently acclaimed staging of Davide Penitente. Leisinger was a research fellow and deputy director of research at the Bach-Archiv in Leipzig until 2004, and he has been Director of the Research Department at the International Mozarteum Foundation in Salzburg since July 2005. American scholars also know him as the Executive Director of the Neue Mozart-Ausgabe and the Digital Mozart Edition (published by the Mozarteum Foundation and the Packard Humanities Institute in Los Altos, California), and from his year as a Visiting Professor at Cornell (2004-05). This unusual collaborative project will showcase a unique combination of European classical and Cuban music traditions, including music by Leo Brouwer, Ignacio Cervantes (Serenata cubana for orchestra), and Cayetano Pagueras (three anthems in Latin). 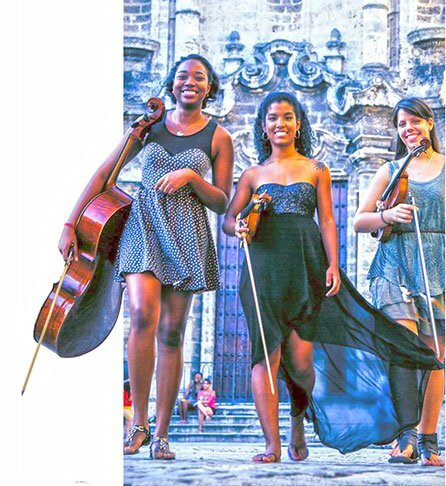 Cuban artists from the world of classical music have taken a leading role in planning the Festival, and leading soloists will include flautist Niurka González, soprano Barbara Llanes, and pianists Ulises Hernández, Fidel Leal, and Frank Fernández. The Orquesta Camerata Romeu and Orquesta Sinfónica Nacional de Cuba (the National Symphony Orchestra) will also contribute concerts featuring Ulises Hernández and Frank Fernández in piano concertos by Mozart. In Havana, the press corps will also enjoy a guided tour of of the city, an exhibit on “Mozart in Havana,” a tour of the media library at the Lyceum Mozartiano, and a visit to the violin making atelier Luthiers san frontiers. We will meet the Austrian Ambassador to Cuba, Dr. Gerlinde Paschinger, and participate in afternoon salsa lesson. According to the festival brochure, four years ago a small group of friends met up to enjoy playing and experimenting with music. Today the ‘Lyceum Mozartiano de La Habana’ is something more. It is a large family unite by talking about our lives, dreams, sorrows and joys; where at each rehearsal or concert, every member from the youngest to the most experienced is nurtured by their peers. This is what we are today and we are convinced that the future will be even better. Music is growing in importance as an expression of national identity throughout the course of Cuba’s process of opening up to the world. Cuba and its cultural and academic organizations are taking big efforts to conserve and develop the expression of musical forms like Son Cubano, Bolero, Rumba, Jazz and Folk Music. For European classical music, however, this process is taking place to a limited degree. The specific needs for performing this genre of music clash with circumstances like technical restrictions, insufficient academic education, restricted access to bibliographies and scores, a lack of experience in culture management and other structural problems. “Cuba is an extraordinary, symbolic place. European music has been playing an important role there for quite some time. With the newly founded Mozart society in Havana, the Lyceum Mozartiano de La Habana, we are able to provide a key impetus, specifically that European classical music, and especially Mozart, is firmly anchored in Cuba again,” explains Matthias Schulz, artistic and general managing director of the Salzburg Mozarteum Foundation. It is within this context that Lyceum Mozartiano de La Habana represents one of Cuba’s newest cultural projects for educating children and youth in concert music. What began with the presentation of a Mozart bust in 2007 has now made waves even in Brussels. The EU has confirmed that it will provide financial support, covering ca. 75 per cent of the project costs, amounting to 530,000 euros. The EU taking that amount of funding in its hands has great musical and cultural significance, as well as structural importance. This EU funding makes it possible for the Salzburg Mozarteum Foundation to set up and expand an exemplary Mozart society. The heart of this independent cultural organization is an orchestra school, realized in close collaboration with the local university for the arts and music, Instituto Superior de Arte, as well as with the office of city historian Dr Eusebio Leal. In addition to advanced training for musicians, the project also focuses on a media library accessible to the public. This should improve unrestricted access to bibliographies and scores. Additionally, experience and knowledge in culture and orchestra management will be taught and bundled at Lyceum Mozartiano so that the institution can also become independently active as a concert organizer. Another important partner in this project is Mozarteum University Salzburg, which has been a significant force in fostering exchange between local professors and Cuban students right from the beginning. “The Mozarteum Foundation and its partners have driven the project forward using their own resources since 2009. Now, this one-of-a-kind music project can be given a solid financial and structural foundation with the help of EU funding”, says the initiator of the project and President of the Salzburg Mozarteum Foundation, Dr Johannes Honsig-Erlenburg. The project will officially launch in October 2012. There will also be a festive inauguration concert in Havana in November 2012. A Cuban “Mozart Festival” is being planned for the autumn of 2015 as the closing event. Here, the project and all of its facets will reveal themselves and, ideally, combine Caribbean joie de vivre with the transparency and elegance of Viennese classical music. The Salzburg Mozarteum Foundation is a non-profit organization whose primary focus has been the life and oeuvre of Wolfgang Amadé Mozart. The organization offers concerts, maintains the Mozart museums and supports academic research. These three core areas seek not only to preserve and foster tradition but to be open to changing perspectives and consider new approaches when encountering the works of Mozart. The ‘Lyceum Mozartiano de La Habana’ is a newly created social and cultural space in Cuba, created with the support of the Historian’s Office in Havana, the Salzburg Mozarteum Foundation and the University of Arts. Its main objective is to reach different social sectors via music. With the project ‘Lyceum Mozartiano de La Habana’ we can now ensure the future of the social and cultural activity of the Lyceum allowing classical European music to be thoroughly promoted and disseminated.